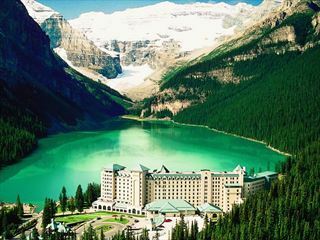 After an overnight stop in Calgary, you’ll start this tour in style with a helicopter trip over the Rockies. 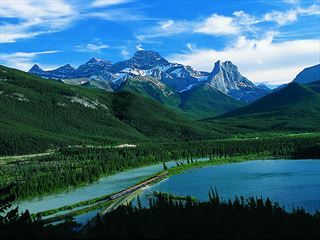 Explore the stunning national parks of Jasper, Yoho and Banff, with a host of spectacular locations in between. 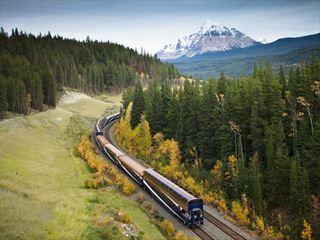 You’ll also be treated to a night in the world-renowned Fairmont Chateau Lake Louise and two days aboard the Rocky Mountaineer, travelling through the stunning Canadian Rockies by rail. Then continue your adventure on a cruise through the Inside Passage to Alaska with Holland America. Transfer independently early this afternoon to the Vancouver cruise terminal where you will board your ship - 2019 sailings on ms Nieuw Amsterdam, 2020 sailings on ms Koningsdam. 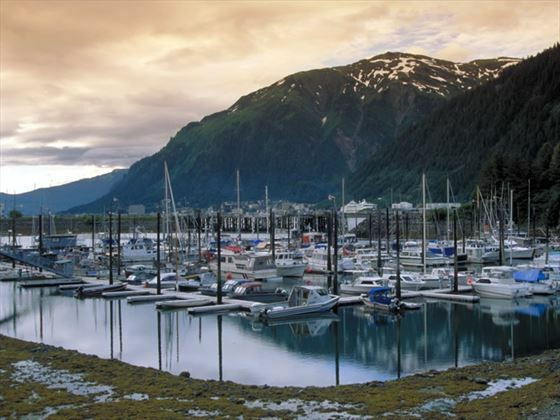 Situated at the foot of the mountain peaks on the Gastineau Channel, Juneau is a city made for nature lovers. 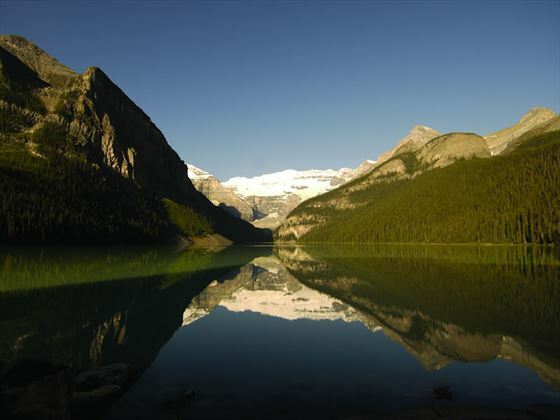 There’s so much to do here that makes the most of the beautiful scenery, such as hiking, fishing and kayaking. Take a trip to the nearby Juneau Icefields or the Mendenhall Glacier, each found on Juneau’s doorstep. Due to the long daylight hours, there’s plenty of time for your perfect Juneau adventure. 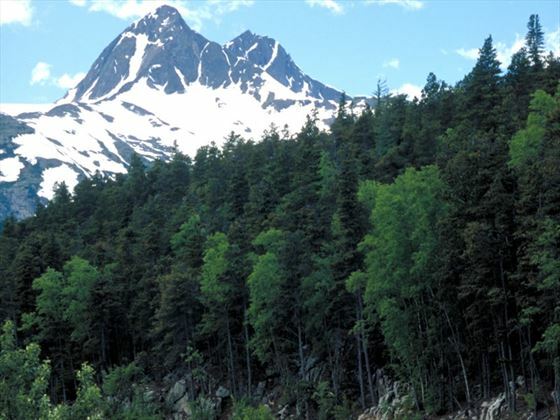 Explore Skagway today, visiting the quaint stores and bars, and visiting the Klondike Gold Rush National Historical Park which has restored buildings and wooden boardwalks inviting you to take a step back in time. Glacier Bay National Park is today’s port of call, with a scenic cruise journeying through this beautiful region. 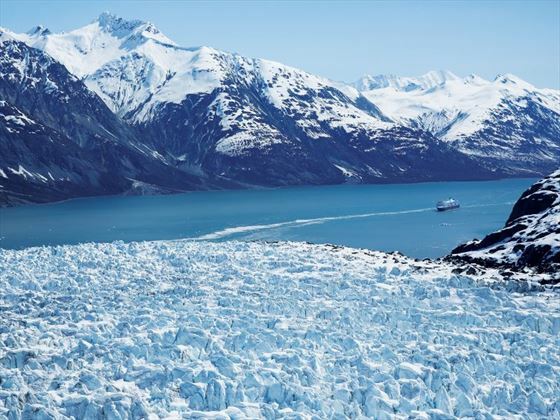 Listen out for the sound of chunks of ice crashing into the water – Glacier Bay has more actively calving tidewater glaciers than anywhere else in the world. 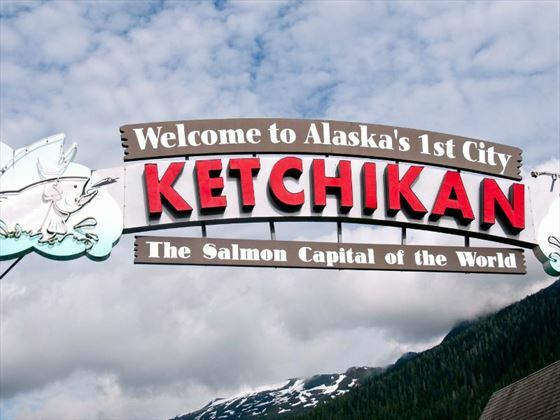 Set out over the waters and clinging to weathered stairways – Ketchikan, the ‘Salmon Capital of the World’, is a cheerful destination found on Revillagigedo Island. 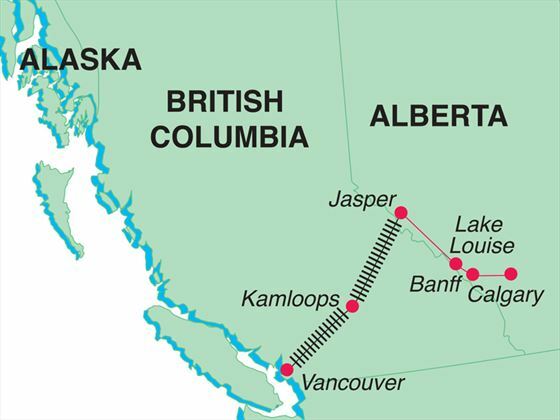 Today sees you embark on your last stretch of the tour, sailing through the dramatic Inside Passage. Cheapest flights to Canada are generally Direct Air Transat flights from Gatwick, Daily flights also available with British Airways and Air Canada. Regional connecting flights also available.